Having a bad case of drunchies? Nothing sounds better than a greasy tray of fast food or a massive bowl of noodles post-clubbing. But having spent a bomb on sour plum shots or opening a table for the night, a late-night supper doesn’t always have to break the bank. 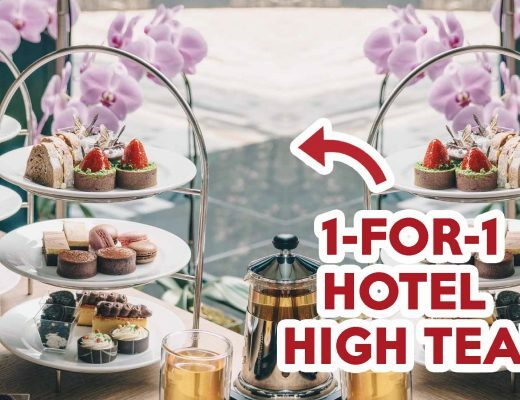 Here is a list of 10 affordable supper spots that are not prata or dim sum places to jio the whole squad to after a night of partying. Foodsmith is the new kid on the block in the supper scene. 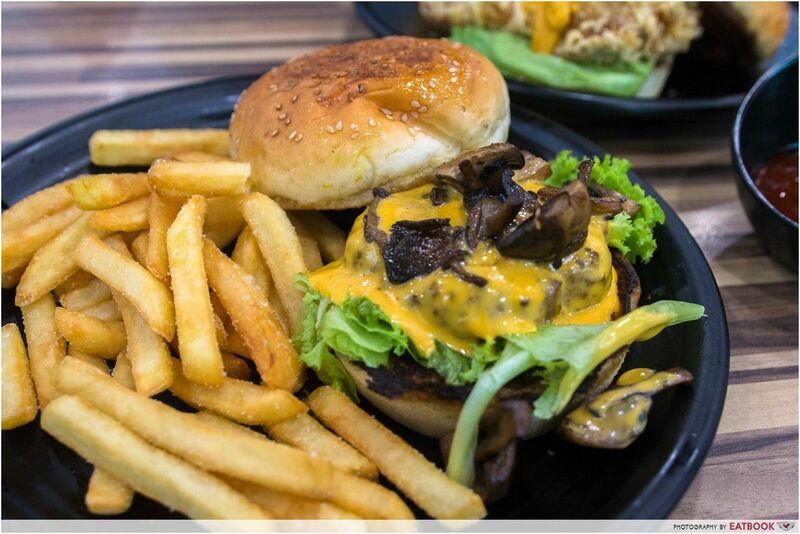 It serves up food that is hot and trending – totally fitting us millennials to a T. A must-get would be their Truffle Mushroom Beef Burger ($10.90) that comes with such permeating truffle aroma and flavourful taste. When powered by the drunchies, Salted Egg Yolk Chicken Burger ($8.90) would be a great choice to quell that hunger. It is savoury, robust and greasy. The long tables in the food court also mean group outings for the whole squad would work well here. Check out our full review of Foodsmith! 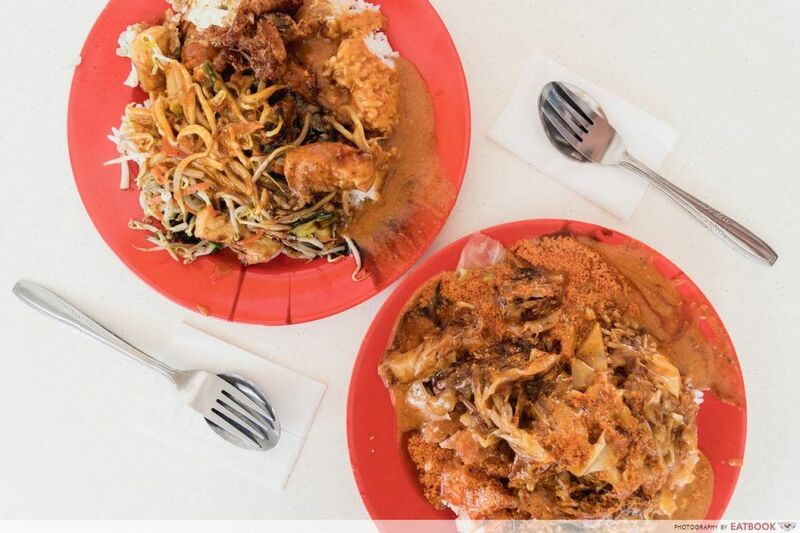 Dubbed as “Asian fast food” by some working behind the scenes in the nightlife industry, Lucky Cafe is a 24-hour halal eatery that offers a variety of food at affordable prices. Even though I’m someone who is repelled by the taste of Marmite, I highly recommend Marmite Chicken Rice ($6.50). I first had a taste of the dish under the persuasion of my sister who swore by it, and never looked back. Every dice of chicken had a good crisp to it and was generously coated with a delicious and elusive brown sauce. It was without a hint of Marmite; each piece was sweet, savoury and had some taste I can’t quite place at the same time. Other than a handful of dishes, most mains such as Yang Zhou Fried Rice ($4.50) and Butter Chicken Rice ($7) range between $4.50 to $7. Bak chor mee is always a good idea, be it for lunch or supper late at night. 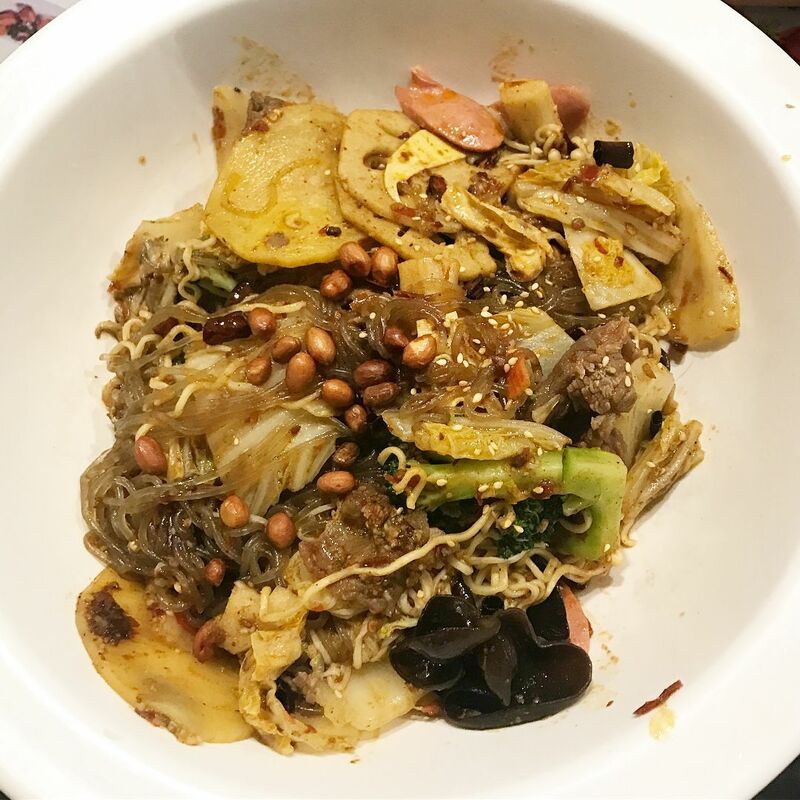 Yan Kee Noodle House uses mee sua instead of the usual mee pok noodles, and each mouthful of their Dry Bak Chor Mee Sua ($4) is slurp-worthy and smooth. 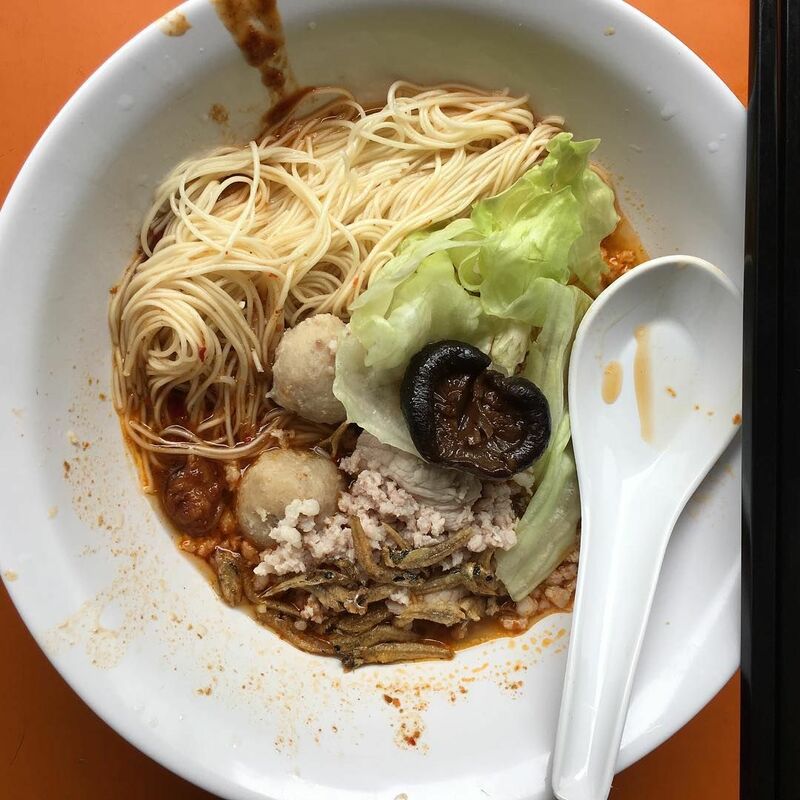 This bowl of noodles is topped with savoury minced pork, meatballs, juicy mushrooms, ikan bilis and a dash of vinegar. It tastes fabulous when mixed as the terrific combination of flavours works. 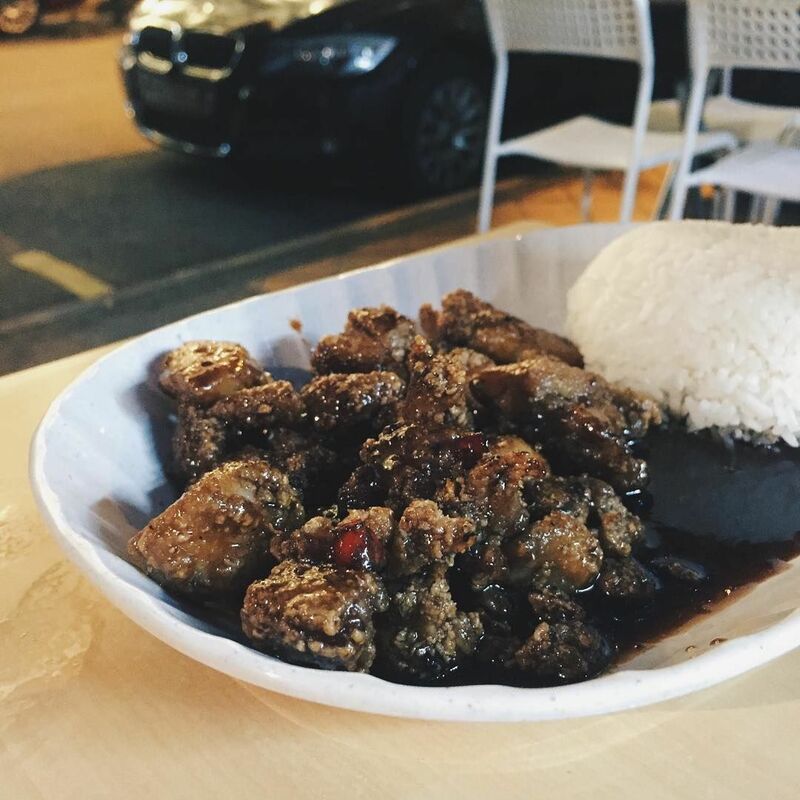 Having spicy food like ma la xiang guo at unearthly hours is sure to jolt you right back up, and Jin Jin Eating House is the place to go. Vegetables are priced at $1.20 for every 100g, mushrooms at $2.20 for every 100g, meat or seafood at $3.20 for every 100g, fishball and its kind at 60 cents for a piece, sausages at $1, noodles at $1, and rice at 60 cents for a bowl. The myriad of ingredients aligns with the deep and flavourful house-made ma la sauce which has more zhap than oil, yielding a rich and unidentifiable deliciousness. Pay them a visit if you’re looking to quell your drunchies. 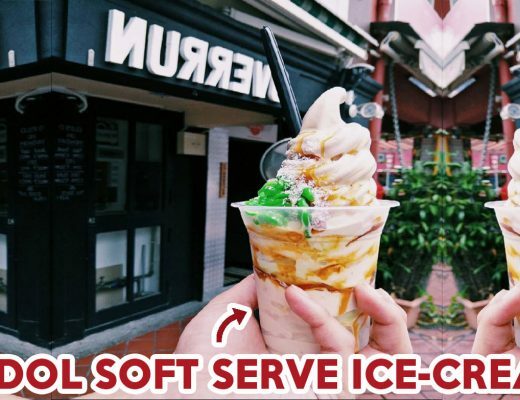 Check out more ma la xiang guo places to hit around Singapore! 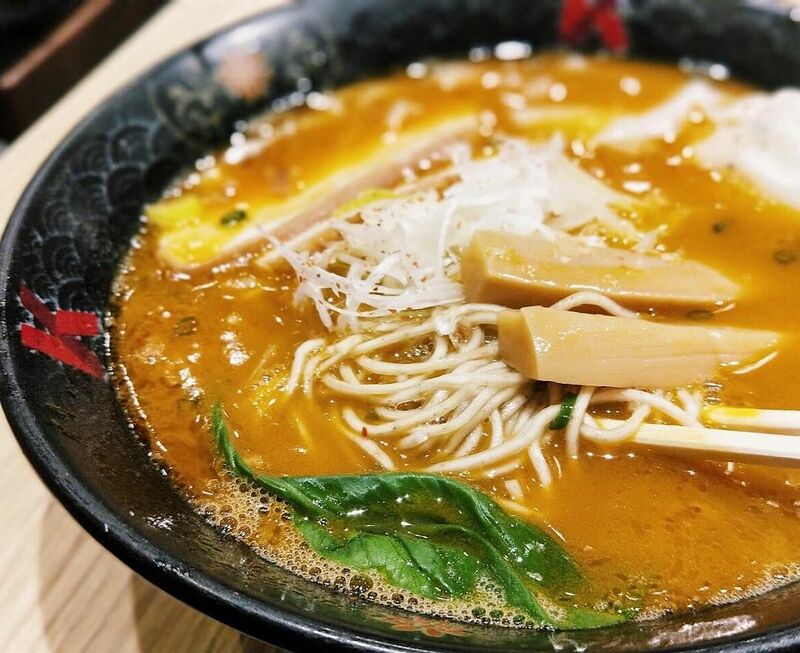 There is nothing like a warm bowl of soup and al dente ramen to fill your hunger pangs and to sober yourself up. Ramen Keisuke Lobster King serves ramen with umami-rich lobster broth. They offer four varieties of soup: clear, rich, miso and spicy miso. A bowl of Lobster Broth Ramen with Clear Soup sets you back $13.90++, a small price to pay compared to what you might already have spent to enter a club prior to supper. I don’t know about you, but I feel anticipation building in my tummy during a night out with friends. And this anticipation is not caused by the loud and low bass beats around us, but the plans for Thai food post-clubbing. 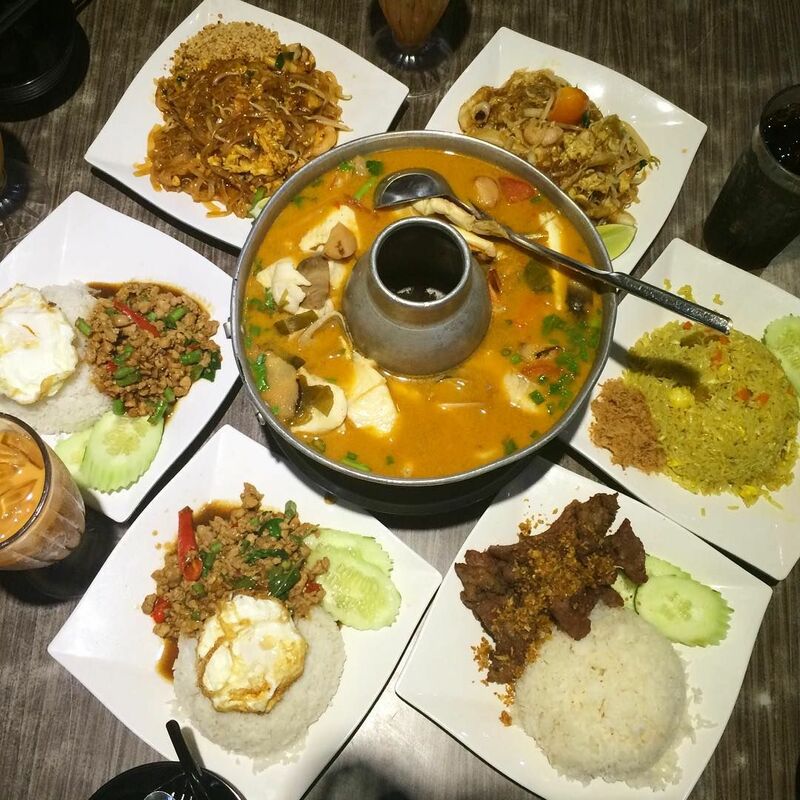 Aroy Dee Thai Kitchen opens till 6am every day. Their food comes in generous amounts, making it a great place to bring your posse to. Heat things up with their Green Curry ($10+) and Thai Basil Beef ($12+). 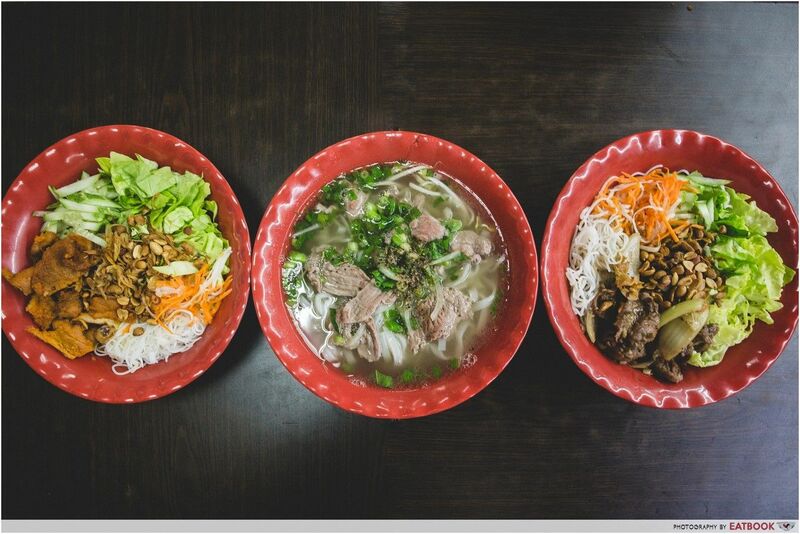 You can’t miss out on Vietnamese pho when talking about comfort food after a long night out. Thiên Long at Orchard Tower opens till 4am every day, and they serve that hearty and warm bowl of Beef Noodle Soup ($6) that might be the cure of your drunchies. A distinct beef flavour accompanied by strong hints of herbs were apparent in each spoonful of broth, and the noodles were smooth and soft. Wake yourself up with their thick Iced Coffee ($3) that boasts a strong roasted taste which is complemented by dense condensed milk. 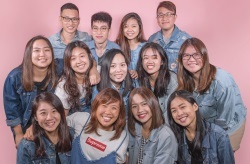 Check out our full review of Thiên Long! Opened till the wee hours of 3:30am, Beach Road Scissors Cut Curry Rice would be a great choice for post-clubbing supper. Their signature curry sauce is liquid gold. It gives life and romanticises this simple plate of food, which is put together by adding your choice of ingredients, chilli sauce, chilli oil, braised gravy, and a ladle of curry on top of a bed of rice. A plate with a meat and two other non-meat dishes will only set you back $3.40. Check out our full review of Scissors Cut Curry Rice! 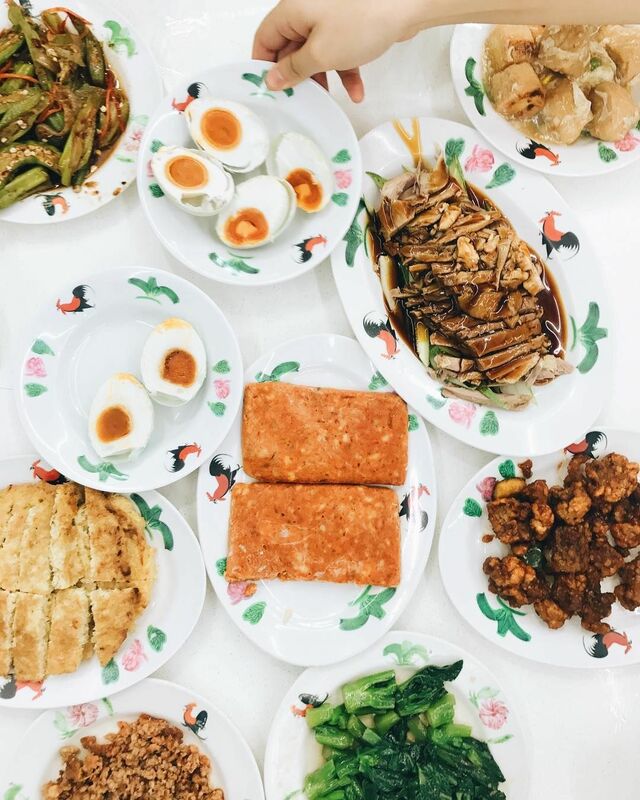 If you have an insatiable sense of hunger and are looking to feast without breaking the bank with friends who are staying in the West, amble out of the cab together for Teochew porridge at Joo Seng. 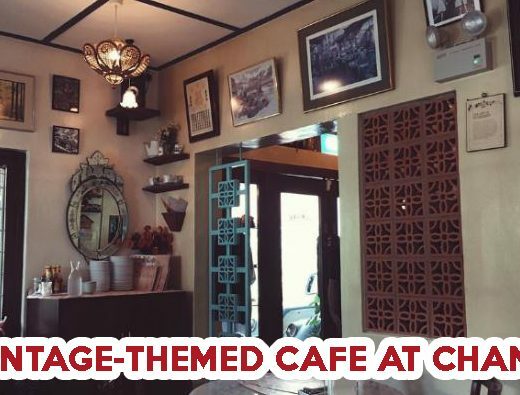 Located at the stretch of supper places at Cheong Chin Nam Road, Bukit Timah, this eatery serves porridge at only $0.50. Zhng it up by ordering a bowl of minced pork with black bean ($2) and their braised duck leg ($6). 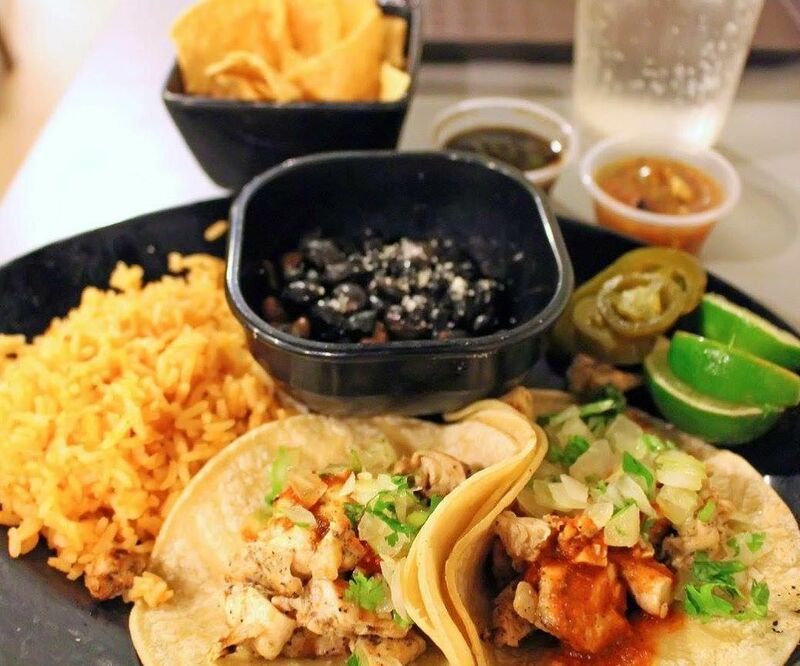 Because when you are left to your own muddled devices, inhaling a greasy plate of Mexican fare would be the best move to satisfy that overpowering sense of hunger. Baja Fresh Mexican Grill is open 24 hours every day except Mondays and Tuesdays. Get a plate of Spicy Chicken Quesadillas for $12.95++, or share a generous serving of melted Cheese Nachos for $12.95++ with your drinking buds. I believe other foodies can relate – plans for food post-clubbing always gets me more excited than the night out at the club itself. It’s the time when you can hang loose and feast out with your friends, with everyone out of their shells and having a good laugh at the slightest things. It doesn’t always have to be a costly affair as well. Cheap food and good company, what else can I ask for? If you’re just looking for a place for you and your friends to chill and pig out, check out these affordable mookata places, or ma la buffets under $30! Featured image adapted from Instagram user @malaxiangguoreviews‘ post.